I hope you all are having a great holiday season. I know I have, but it definitely cut into my reading and blog visiting time. We had some wonderful times with family this past week and plan to get together again on Tuesday to watch the Wisconsin Badgers in the Rose Bowl. Please leave me comments telling me about what was the best part of your holiday week. Here is what I found to share this week. I stumbled across this blog that may create havoc if dieting is your New Years Resolution. Cupcakes For Party has what looks to be scrumptious recipes for any occasion. Thankfully you can’t gain weight just from looking at the pictures. I am not taking part in this challenge but you may enjoy it. It is hosted by …the bookworm. Just click on the button for details. Many blogs and sites are posting their choices for the Best Reads of 2012. I posted my own yesterday. GoodReads has posted there’s after members cast their votes. Just click on the GoodReads button to see the complete list. What was your favorite book of 2012?? 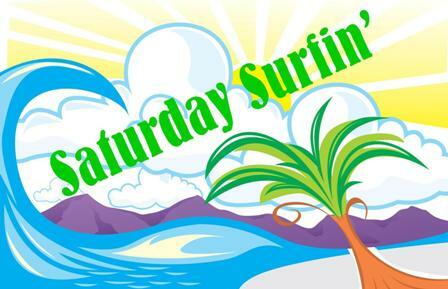 That’s it for week 14 of Saturday Surfin’. If you see some posts you feel should be shared please leave the links in the comments section for people to visit. The weeks are too short to travel to all the wonderful blogs in the blogosphere but together we can help find and direct each other to at least a few.